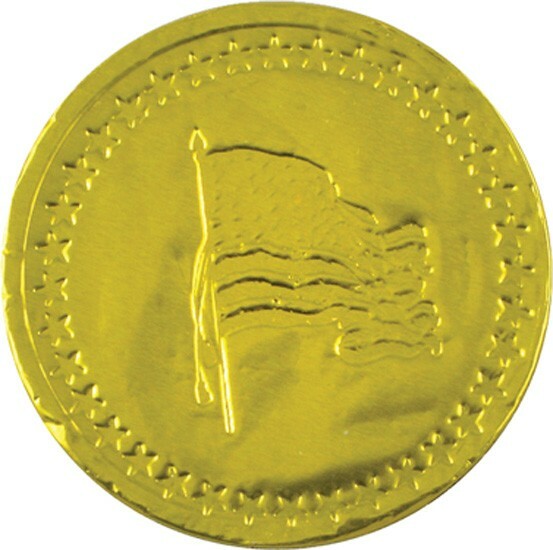 chocolate candy coin embossed with American Flag image. Available in your choice of foil color: Gold, Silver, Red, or Blue. 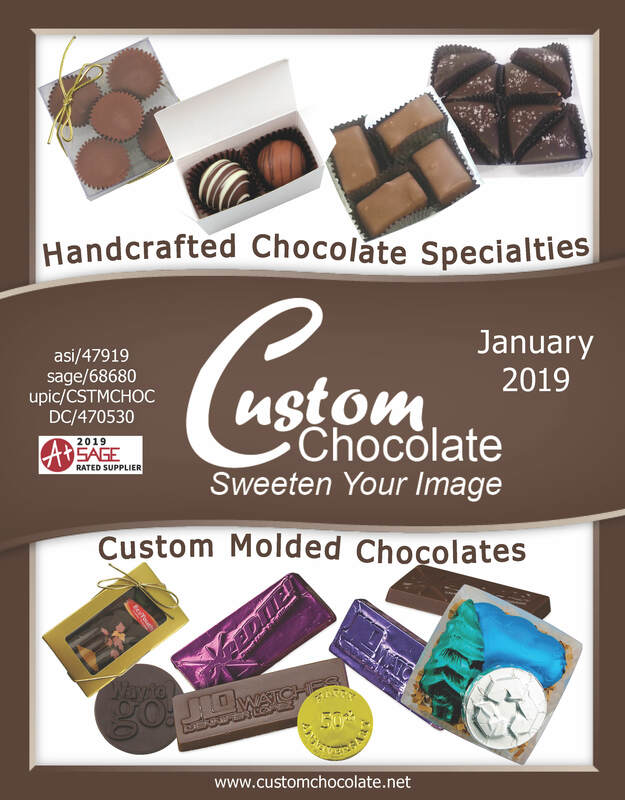 Milk chocolate candy available in all colors. Custom imprinted with 4 CP label on back. Product also available without custom imprint - deduct $0.25 Â®. Imprint area: 1.5" diameter Makes a great food gift or U.S.A. promotional giveaway.